The newest model from Hinckley, a 34-foot runabout, (Hinckley 34R) is the newest in the iconic builder’s line of elegant, classic, Maine-built boats that almost define the Downeast aesthetic. 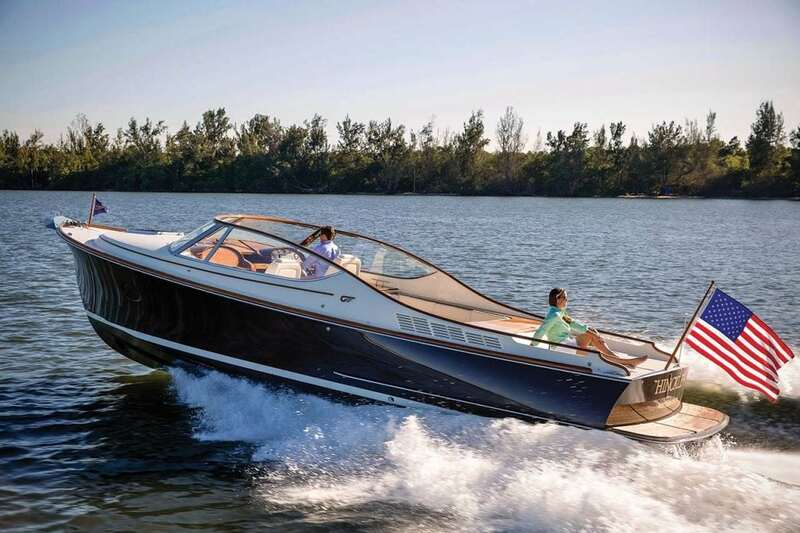 Over the years, Hinckley has managed to blend the latest in hull design and performance with its boats’ gorgeous lines to create an American boating success story. Indeed, Hinckley just launched its 1,000th jet-powered boat, a trend that started with the often-imitated Picnic Boat in 1994. In looks and in performance, the new Hinckley 34R, with twin 320-hp Yanmar diesels and Alamarin jetdrives, lives up to its heritage. The Hinckley 34R (for runabout) is designed as a dayboat. Board the boat via the integrated swim platform and a boarding door to the sunpad, and a centerline walkway.